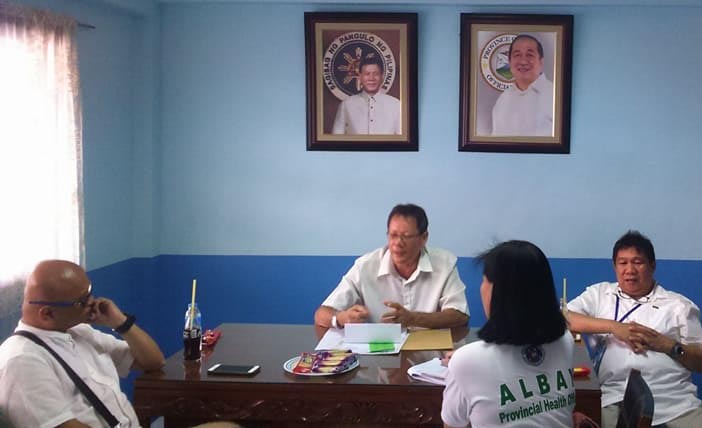 LEGAZPI CITY (June 26) – Albay Provincial Health Office (APHO) confirmed today, cases of Chikungunya - a mosquito-borne disease like dengue, in several barangays in Guinobatan, Albay but is under control. In an interview with DZGB News Dr. Antonio Ludovice, Jr – OIC/APHO said that there were noted sporadic infections in the said municipality and recorded 68 cases from 7 barangays namely: Muladbucad, Masarawag, Calzada, Poblacion, Iraya, Morera and San Francisco. Massive campaign against Chicongunya virus will be launched by his office in coordination with Guinobatan Rural Health Unit headed by Dr. Joahnna Manatlao-Limus to prevent the spread of Chikungunya, Dengue and other water borne diseases during the rainy season.